We all have one. She loves, nurtures, and often molds us into who we become. Whether we knew her or not, our mom influences much of our lives. From her DNA to who she is and how she lived, it all impacts us in ways we may never fully know. But in all the giant and minuscule moments of her influence, one thing remains: the memories. Some of us still have that guiding influence in our lives and some of us really never did. Some of our moms are still here, helping to shape our lives and others of us have only memories. Many of us are blessed with other mom figures in our lives adding another layer of influence only a mom can provide. The chasm they leave when no longer here can be vast, but we can continue their legacy with memories. Whether we understand it or not, memories are still being made even if our moms are no longer physically with us. Our lives are so impacted by them that we instill what they’ve imparted to our children and others. Their memories live on in us and all those we influence. What memories do you have of your mom? In these funny, emotional, happy or even sad memories, their guidance lives on. What and how we remember and then pass along perpetuates their impact. So let’s remember well and share the goodness and wisdom of a mom’s love. Sometimes memories of Mom (or other impactful people in our lives) conjure up wonderful or even not-so-wonderful thoughts. Interestingly, our mom memories are some of our strongest, because they are emotional. Don’t push them away. Deal with both the negative and positive memories, seeking professional help if needed to process them well. Cherish the good and pass that legacy along. On this upcoming Mother’s Day, let’s not celebrate with simply a card. Let’s honor our Mothers by remembering the specifics and continuing a positive legacy of influence. Take time to share favorite Mom memories with a younger generation to pass along the wisdom you’ve received. Tell others (or her) what you loved best and the little and big ways she influenced your life. Often we don’t always appreciate what we have until it’s gone. 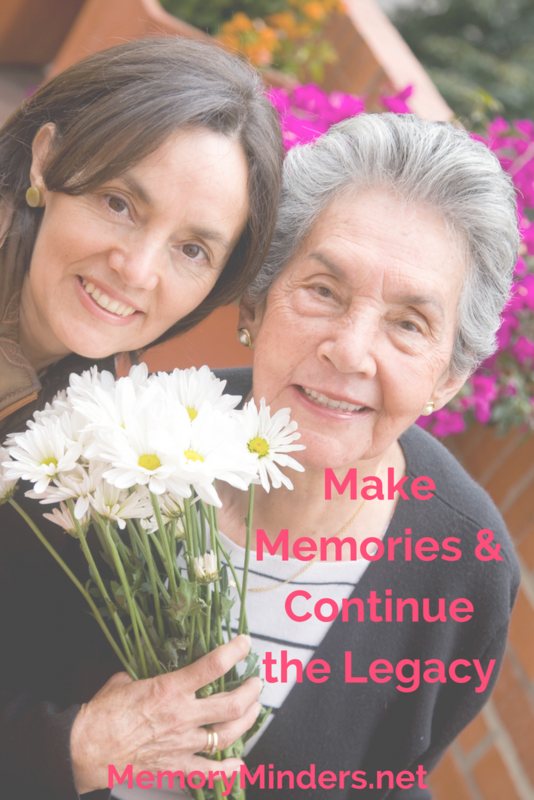 Let’s honor our Moms, our past, and also our present this Mother’s Day and create lasting memories along the way.